Coming to Little Rock October 16th & 17th. 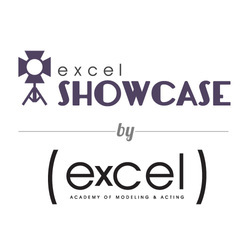 The Excel Showcase is a two day conference for regional Actors and Models designed to bring national industry professionals to Little Rock, Arkansas for exclusive seminars, workshops and auditions. Are you an aspiring model or actor? Are you a student at Excel? If so, this event was designed just for you! Excel is passionate about connecting people in the fashion and film industry. We understand that many of our students are deeply rooted in Arkansas and would love to pursue their dream locally. This October, we have hand-selected professionals all across the USA to come to YOU! These VIPs will spend two days in Little Rock speaking and coaching at the first ever Excel Showcase! This event is brought to you by Excel Academy of Acting and Modeling. Excel has been serving Arkansas as the states only licensed full service training and development center for actors and models. We are excited to launch the "Excel Showcase" as a hub for local talent to meet national and regional industry professionals! We are pumped to hear your story! Please share your experiences with us on instagram by using the hashtag #excelmt.